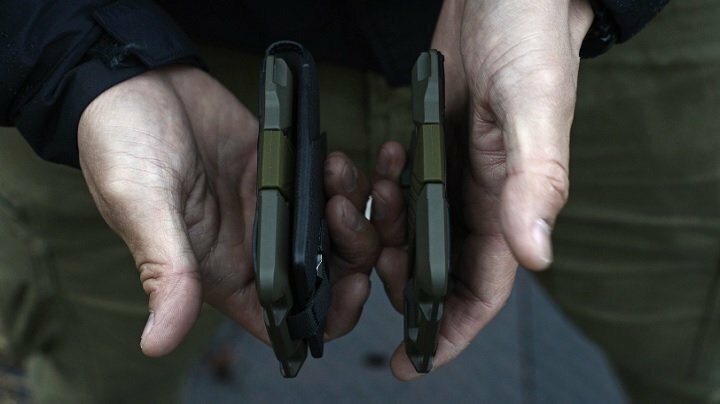 The M1 Maverick bifold wallet is made in the USA with DTEX water-resistent and combines CNC machined with anodized 6061 aerospace aluminum with top grain leather. Very resilient exterior in addition to a carbon multi-tool with over 10 functions. Elegant and sophisticated with an industrial edge which sets it apart from other slim wallet designs. Slim wallet designs with maximum capacity of 14-16 cards + cash.